While many of us agree with the fact that we are fortunate to have "a roof over our heads," this component of a home is something that most people tend to take for granted. But a roof over your head is a lot more than just shingles and nails. Your home is probably your biggest investment. The roof that tops it serves as a shield, helping to keep you cool all summer, warm all winter and dry all year. A solid roof is your first line of defense against the harsh outside elements; no other home renovation project can do as much to protect your home. 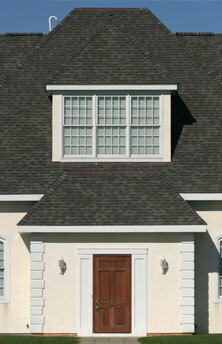 In addition to defending your home's interior, your roofline adds definition to the design of your home. When remodeling is required, a simple change in materials can enhance your home's exterior.